Long Lines Archives · Stop the Cap! 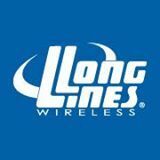 AT&T has continued its efforts towards wireless industry consolidation with today’s announcement it has acquired Iowa-based Long Lines Wireless (formerly Cellular One of Iowa) for an undisclosed amount. “We concluded that Long Lines could best serve our customers by focusing our attention and investing our resources in providing new features for our non-wireless services including voice, broadband services, and cable TV, and in expanding our fiber optic network to reach more communities and customers,” said Long Lines CEO Brent Olson. The rural telecom company has served Siouxland since 1941 and today provides wireless, landline service, cable television and broadband to residents in Iowa, Minnesota, Nebraska, and South Dakota. Customers have not suffered doing business with a small independent provider like Long Lines. The company operates a fiber optic network providing business customers up to 40Gbps broadband and residential customers up to 100Mbps Internet service. Those services are not available from the much larger telephone companies that also serve these states, including AT&T, Frontier, and CenturyLink. Despite the availability of infrastructure that can rival any large city, Long Lines concluded it could simply not succeed in its wireless business. “Regional wireless providers have limited access to the latest smartphones and other devices, and it has become increasingly difficult to for Long Lines Wireless to meet the digital mobile needs of our customers,” Olson said. The sale to AT&T means Long Lines wireless customers will eventually be a part of AT&T’s wireless network, with access to its 4G network and a wider selection of phones. Long Lines intends to invest its resources in providing new features for non-wireless services including voice, broadband services, and cable TV, and in expanding its fiber optic network to reach more communities and customers.